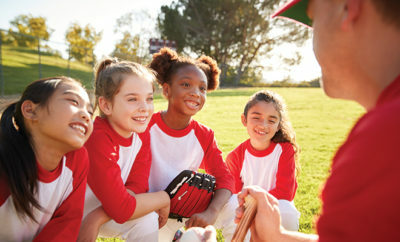 Community sports for kids are a great way to promote physical activity and help develop a healthy sense of competition. Baseball, basketball, soccer, tennis, cheerleading, swimming, gymnastics, martial arts, volleyball and track are among the organized sports that American kids ages 6 to 12 participate in on a regular basis. 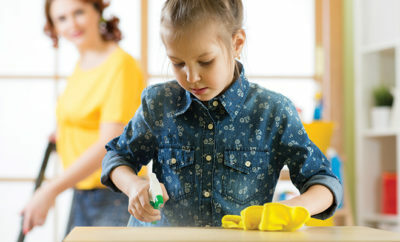 Since many of these programs require a significant investment of both parents’ and children’s time, some parents may question their value when there are so many other demands on their schedule. Besides getting kids out of the house and away from their electronic devices for a few hours each week, organized sports provide a wide range of physical, social and psychological benefits. Between the ages of two and five, children are busy developing basic motor skills such as running and jumping. Moving beyond the basics to more complex physical skills is an important part of development for older children. Each sport has a specific skill set that may be easy or more difficult to master. Children who participate in community sports have the opportunity to master more complex physical skills and discover their own unique physical talents. Taking part in regular physical activity helps children build and maintain healthy bones, joints and muscles. It also helps control weight and prevent chronic diseases associated with being overweight, such as Type 2 diabetes and high blood pressure. 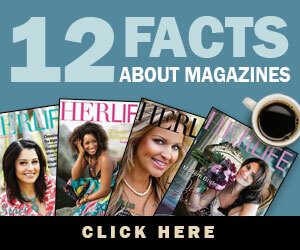 In addition, children who take part in sports are far more likely to continue the healthy habit when they grow up. According to the Robert Wood Johnson Foundation, 75 percent of people over age 30 who take part in sports played sports when they were children. Not everyone can be a superstar athlete, but just being part of a sports team can give a child an important sense of belonging. Meeting new people and making friends helps children build confidence, while cheers, high-fives and other signs of support from team members and coaches can go a long way toward boosting self-esteem. There’s also a lot to be said for expanding a child’s sense of identity by letting them try out new skills and activities, including sports. Playing sports can help children build new relationships and develop interpersonal skills such as communication and cooperation that they’ll need in adulthood. Many sports also provide opportunities for children to practice leadership skills. Through sports, parents and coaches can teach children how to win fairly and lose gracefully. Competing and performing before spectators can help children learn how to manage their emotions under pressure. 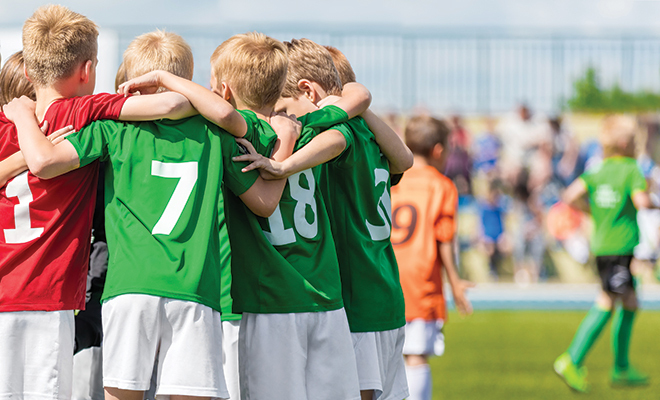 Many kids can get exercise on their own, but organized sports require them to show up for practice, learn the rules and take direction from coaches. To improve at their sport, they need to listen to their coaches’ advice and practice. This all requires children to develop self-restraint and discipline, valuable skills that they’ll need throughout school and on the job. Sports can be a natural source of stress relief for children as well as adults. High levels of physical activity trigger the release of endorphins, the brain chemicals that can boost your mood and help fight depression. Sports can also help children learn to deal with stress by placing them in high-pressure situations that force them to persevere and overcome adversity. Practicing perseverance at a young age helps children develop important coping skills. Community sports offer benefits for the entire family by promoting family involvement. Parents, grandparents and siblings can encourage a child athlete’s progress and the entire family can bond at practices and games. With organized sports, parents have an important opportunity to become role models of fair play for their children. 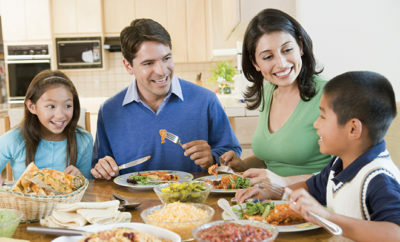 Situations that come up during competitive events, including examples of bad sportsmanship, can become points for discussion within the family. Positive, nonjudgmental support from parents and other adult relatives can make all the difference when it comes to how much a child enjoys community sports. Community sports help bring neighbors together. Studies have found that families who participate in community sports develop deeper connections with other families, giving them a greater sense of being part of the community. Sources: aspeninstitute.org, novakdjokovicfoundation.org and parents.com. Let’s All Sit Down for Dinner!